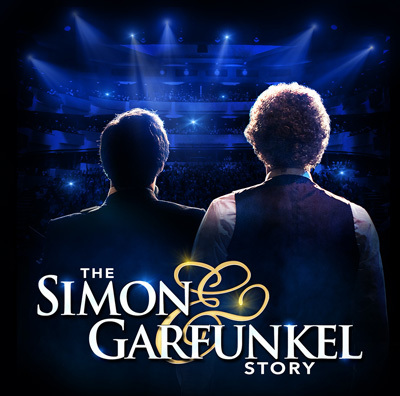 The Simon & Garfunkel Story is touring the United States! Using huge projection photos and original film footage, featuring a full live band performing all the hits including 'Mrs. Robinson', 'Cecilia', 'Bridge Over Troubled Water', 'Homeward Bound' and many more. The immersive concert-style theater show chronicles the amazing journey shared by the folk-rock duo, Paul Simon and Art Garfunkel. It tells the story from their humble beginnings as Tom & Jerry to their incredible success as one of the best-selling music groups of the '60's to their dramatic split in 1970. It culminates with the famous "The Concert in Central Park" reunion in 1981 with more than half a million fans in attendance. With more than 100 million album sales since 1965, Simon & Garfunkel's perfect harmonies and songs that poignantly captured the times made them one of the most successful folk-rock duos of all time. Over the years, they 10 Grammy Awards and were inducted into the Rock and Roll Hall of Fame in 1990. In 1977, their "Bridge Over Troubled Water" album was nominated at the Brit Awards for Best International Album. In 2003, Simon and Garfunkel were awarded a Grammy Lifetime Achievement Award and the following year saw their "The Sound of Silence" awarded a Grammy Hall of Fame Award.